The well-being of all birds — especially parrots — is Bird Endowment’s passion. Our daily labor, however, is breaking the extinction vortex into which the Blue-throated Macaw has been thrust. In the wild, we support those in situ Blue-throated Macaw conservation projects that are planned and executed with stakeholder consensus. The Blues Conservatory ™ empowers Blue-throated Macaw parents to fledge and wean their offspring in the safety of a protected captive envirnoment. Our Saving the Blues ™ breeding program for parent-rearing preserves the integrity of the species cultural identity and provides future breeding birds with the best potential for hatching and parent-rearing their own offspring. The Blues Conservatory’s™ work well may be the greatest hope for long-term ex situ perpetuation of the BTM and the preservation of its species culture. Our Saving the Blues™ program ensures the survival of a bird in captivity that is most like those now so seriously threatened with extinction in their Bolivia habitat. 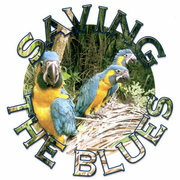 If Saving the Blues™ is important to you, there’s a place for you in the nonprofit 501 (c) (3) Bird Endowment program. Your support or participation will make an important and vital difference.